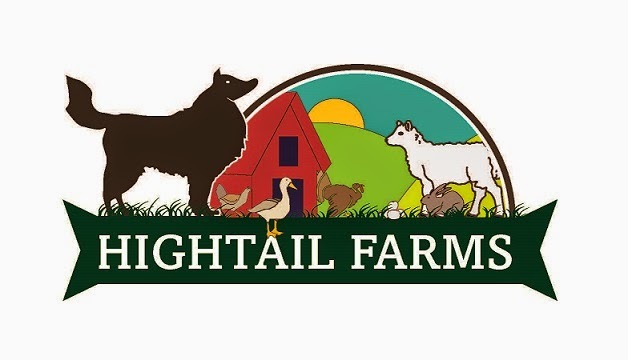 HighTail Farms: A Whole Year! One year ago today, Kaela and I had the final closing on the property. Later that night, I asked her to marry me. I knew that we would have a lot of hard work ahead of us, and I knew that there would be just as many downs as ups, so I wanted that first day as home/farmowners to be something marked with a very, very happy occasion. (If you want to read about that night, here's a link to Kaela's old blog!) Tonight, we celebrate with some wine I made from the muscadine growing on the property and, much like our first night, chow down on some gas station chicken. Since that night we hit the ground running and have never stopped. We founded the business, HighTail Farms, LLC, renovated the shed into a state-reviewed poultry processing facility, obtained a couple of goats (including Gwen and Thea! ), purchased a flock of sheep, survived a hurricane, got featured on the news, raised a crapload of animals, fenced in a pasture, sold a bunch of pet food, sold a bunch of delicious food (for humans! ), and have absolutely loved every single minute of it. It's been hard work, but the most rewarding work either of us have ever done. There have been some rough times, but in the end we stuck it out and it has been 100% worth it. One thing we can't do is celebrate this year as a success without thanking all of you, our readers and customers, our friends and family. From our home and farm to you, thank you for your support, your business, and your love. I simply cannot wait to see what the next year holds for us, and we both look forward to sharing with you our adventures and our products. Happy holidays to you all and have a happy and safe new year!